In early Wall Street trade, Apple skidded 5.1 percent to $210.76, bringing the market value of the tech giant back near the level of $1 trillion it topped in August. 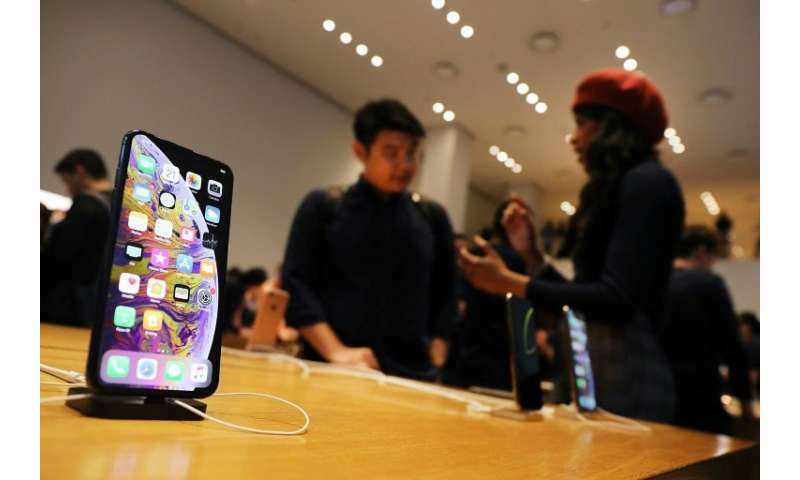 "Apple will have trouble maintaining its recent valuation bump if the market clearly sees declines in shipments," said analyst Richard Windsor on his Radio Free Mobile blog. "Services revenue continues to increase at pace," said Neil Saunders of the research firm GlobalData. "We believe this represents a massive forward opportunity for Apple and, as such, welcome the news that the company is looking into streaming video services."